On Nigeria's Democracy Day, we serve you the poetry of Sunsampaul, the Philosopher. Come into his thoughts on poetry and Nigeria. Enjoy. I'm everywhere, anywhere you call on me, I'll be. My image will definitely appear to defend you. I'll stand by you to keep your faith strong. Were journey dined with day and night. Bushes gossiping in a low tune. A journey feeding on a lonely road. For I've a brighter life. For this lonely road has served me dinner. With her elongated hands and outstretched neck. And the only voices heard are the lamentations of the wind. By Police men, soldiers and custom officers. Where road side snacks are costlier than t.fare. For this journey is for only the brave. 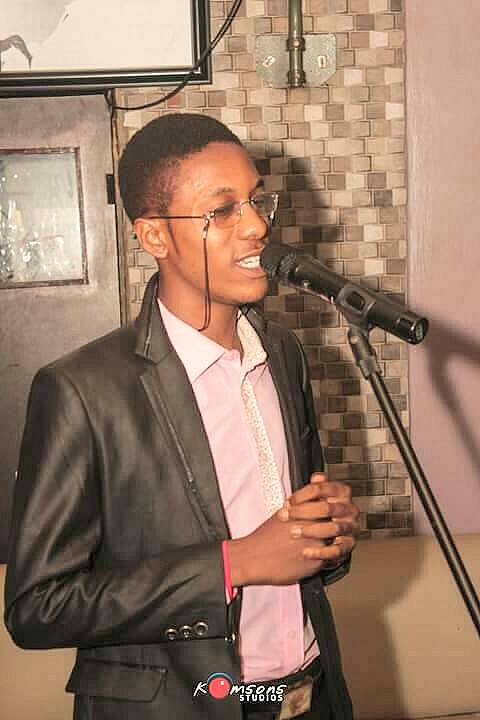 Sunsampaul Egwu, popularly known as Philosopher, is a poet, a published motivational writer, an instrumentalist, a vocalist, a graphic designer, a computer scientist and a blogger. He is the author of the African folktale ‘IKENNA AND THE ZEBRA’ (2014). He's the award winner of ‘join me write’ poetry contest hosted by the poetry court and also winner of talented poet contest. He’s the President and Chief Sacristan of Armed Forces Altar Servers Association. He's the C.E O of Citadel of Life, a pioneer of Ghetto city of poetry, an active member and contributor of Peregrine Reads, Poets in Nigeria PIN, Figure of speech FOS, the poetry court, writers connect, talented poets, transformed family, 633 academy, words, rhymes and rhythm, LiteraNation, writers lodge, doveline poetry, ODP-African poets and vivid verses. Etisalat Holds Workshop For Writers.